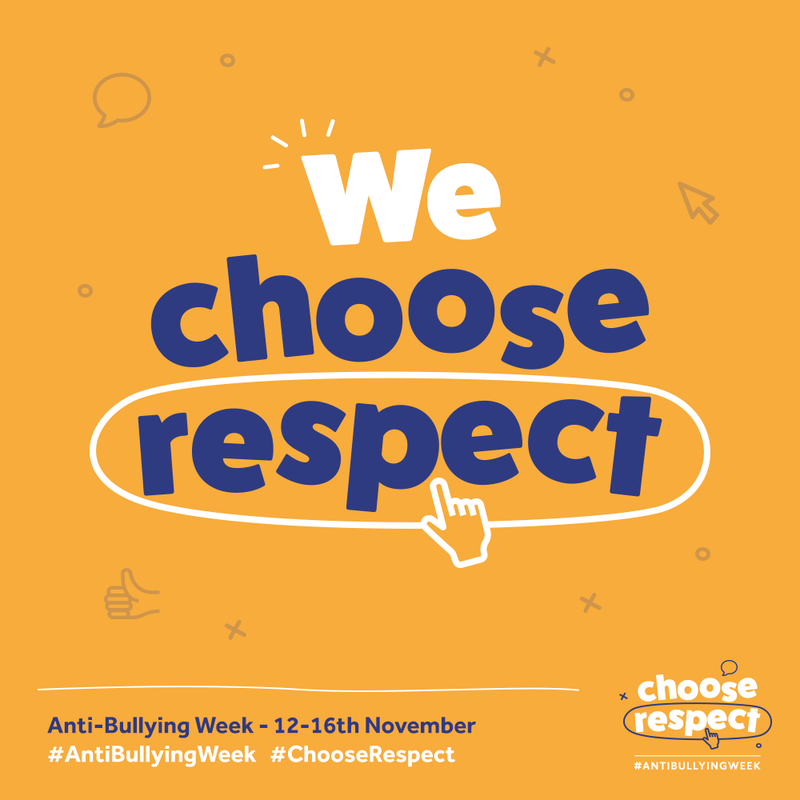 Anti-Bullying Training Officer Robbie Cruickshank-Sutton talks us through how we can all get involved with Anti-Bullying Week and choose respect this November. Respect. We all know that song, right?! Don’t even pretend you didn’t have a bit of a sing along then in your head! I bet a few of you even went into the next verse too! Respect is a term so often used, but so often used without thought as to its meaning. So, let’s take a minute to talk about respect and how we can choose respect this National Anti-Bullying week. FYI – Yes, I sang out loud whilst writing that first bit. We know to be respectful to others, to ourselves, we are taught to respect our elders, and that respect is earnt, not given, yet we demand respect as a right, we expect it! We expect it. Perhaps we take respect for granted as well then? So where do we separate expectation and conformity from choice? When do we become respectful because we choose to be respectful, and not because someone expects it of us? Is respect the result of something that has lead us to further understand each other, and learning more about ourselves? Suddenly, something so simple becomes a complicated and confusing concept! “Wow… I was not expecting all that! So, what is respect?! Why are you talking about it? 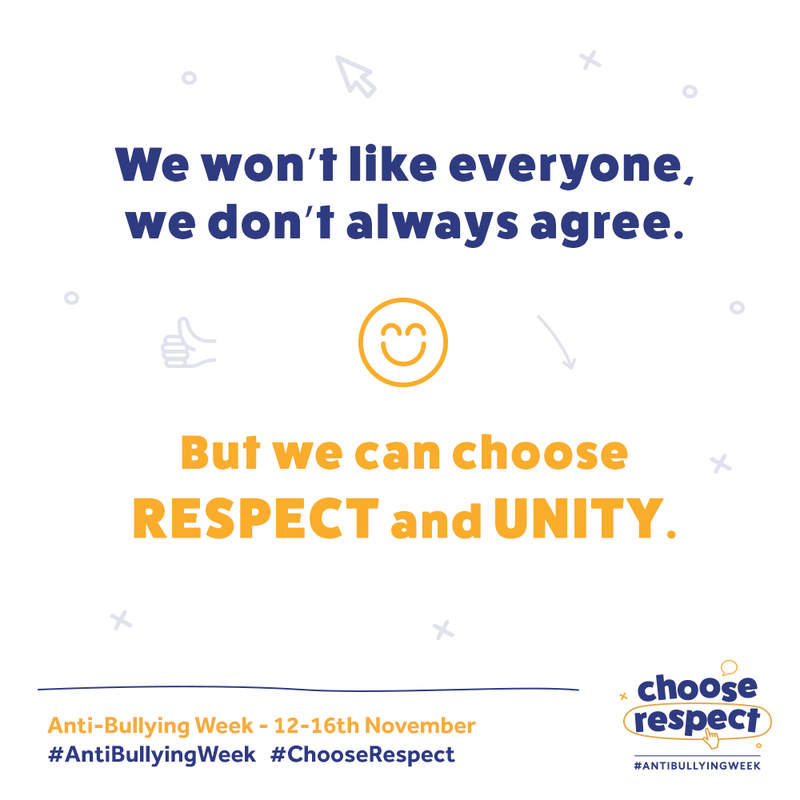 After consulting over 800 young people, staff and others associated with the Anti-Bullying Alliance, the theme of respect was chosen for this year’s Anti-Bullying Week, by you! Through focusing on the idea of respect we want to ensure everyone who attends knows its definition. We want to hand the power over to you, so you can explain to everyone that bullying behaviour is a choice, that it is okay to respectfully disagree with each other, and that we all need to choose respect with one another both face to face and online. So, respect, in its purest form, is simply to regard someone and their belief, opinion or rights. This is a strong foundation to build upon, but we all know that respect runs a little deeper than that! Now we’re getting somewhere! Next, let’s define what respect means to each other. I asked my friends and colleagues, what does respect mean to you? With each answer, the same themes were prevalent; respect is complicated when we try to define it, but it means a great deal to us. So rather than to try and define respect as an individual concept, perhaps we can view it as a part of a mentality or mantra. Perhaps it is the result of the way we think; a conduit from other positive characteristics we develop as individuals and as a community, such as empathy, compassion and good humour. <strong– We acknowledge the value of another’s perspective. A lot of us make a subconscious decision to choose respect whilst we interact with everyone else. That’s just something we do. Through no fault of our own, we may then begin taking respect for granted. But could this make us lose sight of why disrespect occurs? And start looking to place blame? Something to consider and acknowledge then; choosing respect may not be an obvious choice to those who have not been afforded that same mutual respect or compassion by their immediate peers. Perhaps they lose sight of respect being the foundation that we build relationships upon. It’s easy to forget that those who are not shown any form of respect by their immediate peers may, in turn, lose that perspective and come across as rude and disrespectful themselves. Choosing respect therefore, does not necessarily mean choosing it for ourselves, but affording it to others; creating respect from instilling positive empathy in each other. We can choose to look after each other and encourage compassion and positivity in everyone we meet. This is an important part of the role of Anti-Bullying Ambassadors who are empowered with the skills and confidence to tackle bullying online, offline and in their communities. 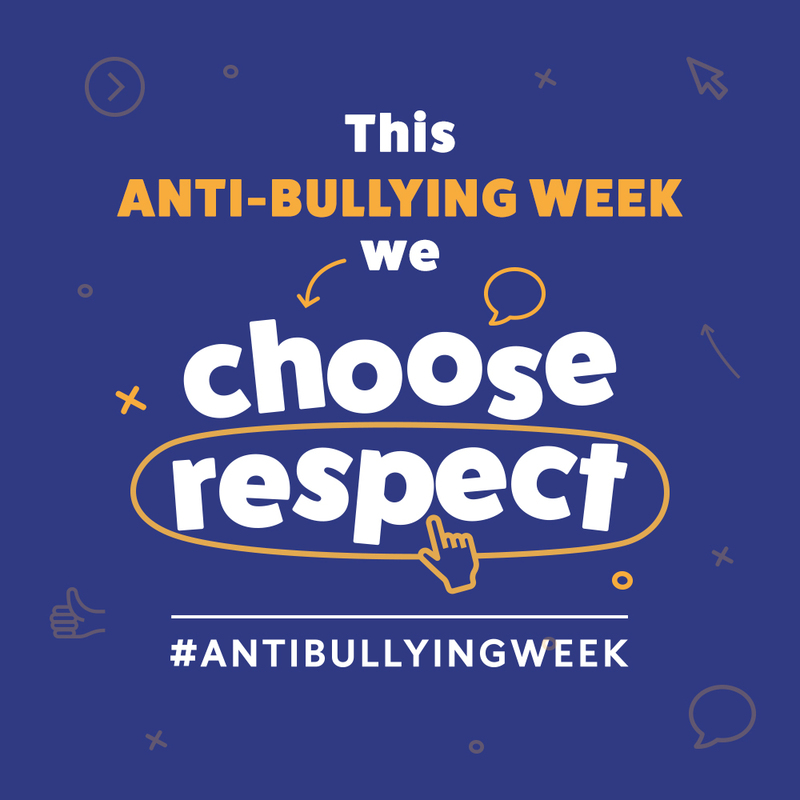 Whether you’re an Anti-Bullying Ambassador, teacher or student, join us this National Anti-Bullying week, and help yourself and your peers to choose respect. Thursday 15th November is Stop Speak Support day to highlight the issue of cyberbullying. Or perhaps you could download our resources and assembly templates from our website here. 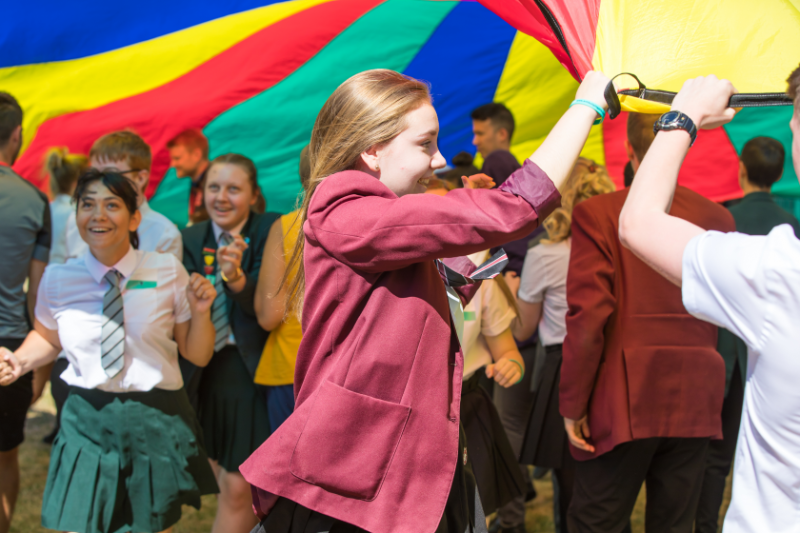 Whatever it is you get up to this National Anti-Bullying week, make sure show your support and tell us by tagging us on social media, if you are over 13, with @antibullyingpro, or if you are under 13 by emailing antibullying@diana-award.org.uk. Good luck, be excellent to each other, and choose respect!